Starting a garden from scratch is one of the most exciting projects you can undertake. It’s one of the few times in life where you actually get to play god. Yes, you create your own little patch of life, and you get to choose absolutely everything from the soil, to the plants and even the landscape. If that sounds amazing, but hard, you’re right. It is hard, but not impossible. 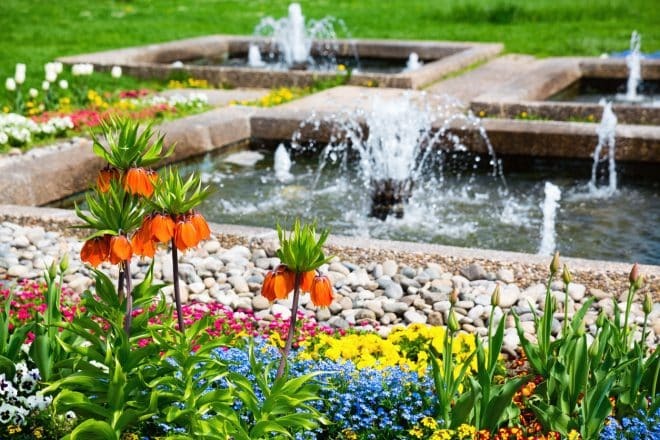 Here’s how you can create your very own garden. Yes, one of the easiest ways to begin your garden is to choose some seeds. It’s always best to get your seeds locally because these will be most suited to your climate and soil. You should also ask important questions about when the plants will flower and when the best season is to plant them. You can even bring a sample of your soil in for testing, which will help in selecting the easiest plants for your needs. Your soil is essentially the sludge from which all life springs. You’ll be happy to know that you don’t need to go through the expense and fuss of trucking in soil – you can make do with what you have. Just dig and loosen the top 30-odd centimetres of soil and mix in some compost. When the ground looks nice and fluffy, you’ve got the soil you need for success. All you have to do is open the packets of seeds and toss them where you want them to grow. It’s best to prepare beds and specific areas for different plants because it will be easier to care for them as they grow. Your garden beds need to be damp most of the time. You shouldn’t soak them every day, but never let them dry out for days at a time. Seeds and young plants need a lot more water than established plants, so don’t be afraid to get the hose out. As plants begin to grow, you need to thin them out. This means spacing any sprouted seeds, so each plant has enough room to spread out and grow. When starting out, don’t be afraid to wait until the plants have reached a substantial size to begin selecting which ones you will move or remove. You won’t end up with the perfect garden after your first try. Rome wasn’t built in a day, and neither is your garden. You need to observe the way your plants grow and see what types of flowers and plants you like, and how the colours and textures interact with one another. Don’t be afraid to pull up and start again if you don’t like the look. It’s your garden, your very own patch of life and as god, you decide what stays and what goes. Over time, you’ll gain a keen eye and sense for what you like, and what grows well. A garden needs to be organised for two reasons – it looks better, and it works better. We’ve already talked about garden beds, but you also need to divide your garden up with paths, screens and other elements. Paths are perfect because they make your garden more accessible – it’s a lot more fun to water and weed from a steady surface, rather than trying to dodge plants while you trudge around your yard. Screens are also a great option because they allow you to create microclimates and shaded areas that are perfect for growing plants like ferns. You can also run creepers, herbs and even vines up the screens, so you enjoy even more greenery in your backyard. If you’re going to be the master of life, make sure you include some edible life. The thrill of having broccoli, pumpkin, strawberries and lettuce growing in your backyard is amazing. If you have kids, it’s the perfect way to get the kids outside and into the garden. Vegetable gardens are very easy to make, and if you choose the right seeds, they are incredibly easy to grow. It’s just like any garden, scatter the seeds, water and wait for your food to come to life.